A CHRF truck pulls up to deliver meals in Somaliand. Three of the grateful children receiving meals from CHRF! “I want to send a special thanks to the many CHRF donors who helped make this distribution possible. As you can see your donations can help to make the difference between life and death for children who are malnourished and suffering. Thank you for your support and for bringing hope to these people. I think knowing that someone cares about them and is willing to help provide for them from thousands of miles away means just as much to them as the meals that could help to save their lives.” Over the next few months the teams will continue to provide tens of thousands of more meals all over the “horn” of Africa in Somalia, South Sudan and Ethiopia as they work to search for and serve forgotten families and villages that have no other source of help. Thank you for helping us to provide thousands upon thousands of meals for children, mothers and their families. 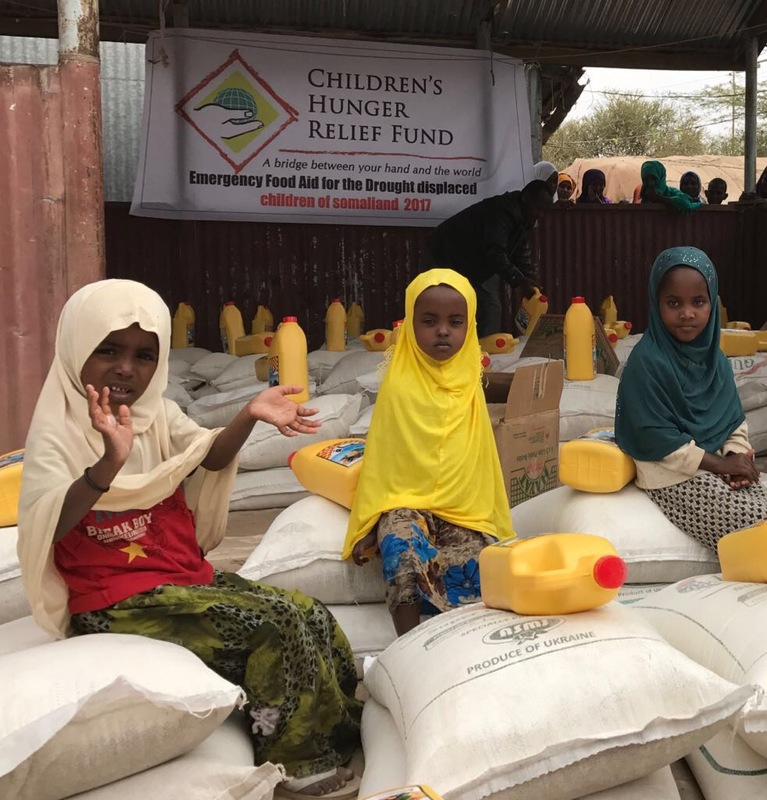 CHRF’s work in the South Sudan, Ethiopia and Somalia is just one example of what sets our team apart from the others out there working towards the same goal of saving children. In a world where almost 9,000 children die every day from Malnutrition we must work hard and sometimes, like our emergency relief team, take risks to make the most powerful difference for those children that we can make. Thank you for supporting CHRF and our Emergency Relief Team as they bring God’s love and life saving meals to over 1,000 families in some of the most desperate regions of Africa. Please keep our team in your prayers over the next few months as they constantly risk their lives in order to help some of the most vulnerable and neediest children they can find.